You’ve probably read a ton of articles and claims on the internet all about how great coconut oil is. Well guess what! This is going to be another one. So if you’re new to the idea of using coconut oil or are still waiting to be convinced, maybe this post will help you out (and if not, feel free to yawn and move on immediately). So, coconut oil. Why is it hailed as such a magic substance? Extracted from the flesh of the do-all coconut, coconut oil is very high in saturated fat (medium chain fatty acids or triglycerides), enabling it to offer a ton of moisture to skin and also hair. Because it has a lower molecular weight than most moisturisers found on the shelves, its able to penetrate your skin on a deeper level to keep it soft, smooth, supple, build up a natural barrier and protect skin’s youthful balance and elasticity. Because of all this, its an amazing natural moisturiser for both skin and hair and an awesome replacement for the nasty chemicals found in 90% of beauty products today. 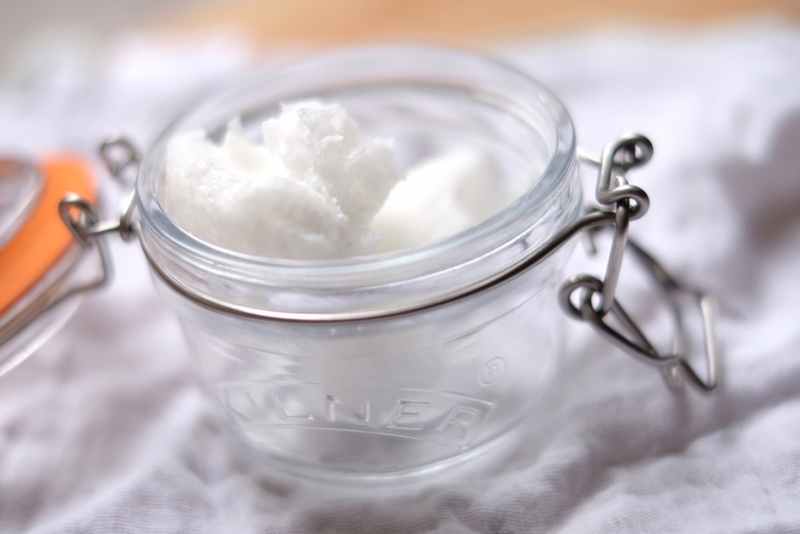 Did you know coconut oil also anti-bacterial and anti-fungal? This makes it a powerful antidote to irritated or upset skin, keeping it healthy and free from toxins and infection. On this level, coconut oil isn’t just a beauty essential but can be (and historically has been) used topically, too. You might say there ain’t nothin’ it can’t do…and well, you might just be right with that. Bear in mind here that the only type of coconut oil you should be using on your body is extra virgin cold pressed, ideally organic (but not essential). This means its beneficial properties haven’t been damaged by processing and that it hasn’t been contaminated with other oils. It should be pure white in colour. My favourites are Suma and The Groovy Food Company. Below are some of my favourite uses for coconut oil. I love to use coconut oil as an intense conditioning hair mask. Simply smooth melted coconut oil on dry hair right before washing. Leave 20-30 minutes (or however long you feel your hair needs) and then shampoo and condition as normal. You should instantly feel the difference in smoother, more moisturised looking hair. Coconut oil makes a brilliant lubricant for shaving as it’s soothing and protective but not heavy enough to clog up your razor. 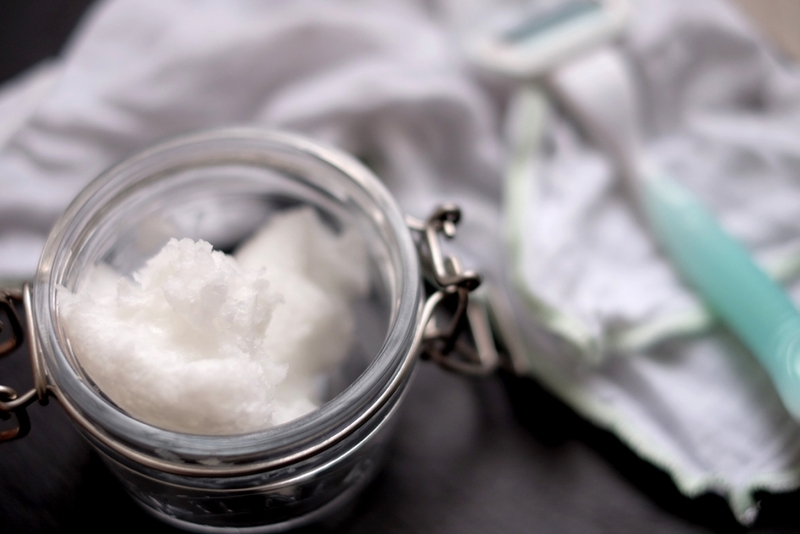 Rub melted coconut oil onto damp skin (preferably after a bath or shower). Heat your razor under the hot water tap or by immersing it in warm water. Then shave as normal. You should feel afterwards that your skin is smooth, soft and nourished, with little to no chance of shaving rash or ingrown hairs. Win! Yes, coconut oil can be used as a cleanser! Using oil to clean your face might sound weird at first, but its actually amazing at drawing out all of the dirt and impurities from your skin. 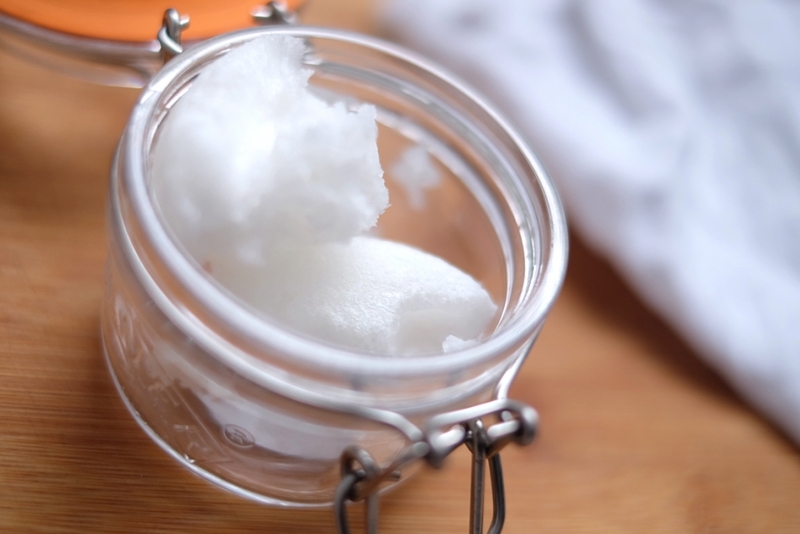 Rub coconut oil onto dry skin (it can be solid, as it will melt upon skin contact). Then rinse a clean facecloth under hand-hot water and hold against your face for a few seconds, allowing the oil to penetrate pores. Gently wipe your face clean using circular motions and end by splashing your face with cool water, ensuring all excess oil is removed. Your face will likely feel soft and clean, and you may not need to moisturise, depending on your skin type. I love to mix coconut oil with brown cane sugar to make a cheap yet super-effective body scrub. This magical two-ingredient remedy is really incredible for skin – the sugar exfoliates whilst the oil moisturises. It smells delicious and is gentle enough for the face too! In both cases, apply to dry skin and rub in gently. If using it on the body, this can be done before a shower and rinsed off easily. For the face, use a clean facecloth to sponge the mixture off your face before splashing with cool water to finish. Coconut oil makes a fantastic simple moisturiser. Simply slather it on after a bath or shower and you’ll immediately feel the moisturising properties penetrating deep below the skin’s surface. 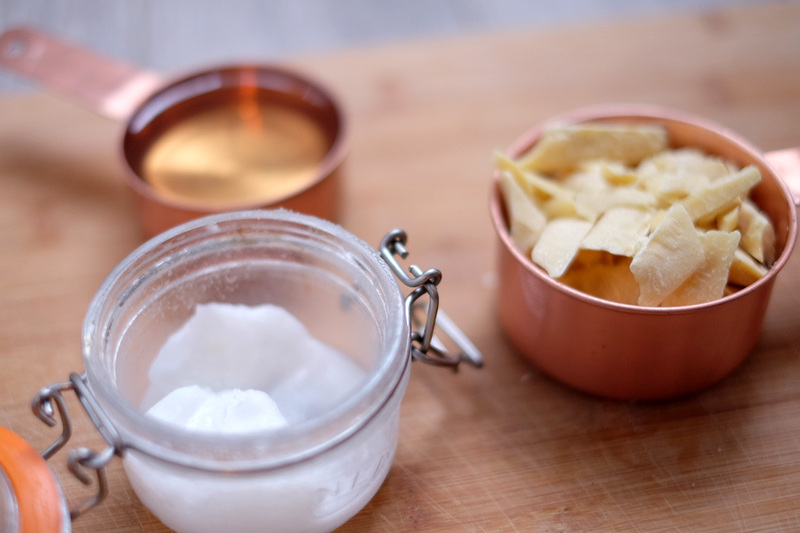 Blended with other ingredients, coconut oil can make a delicious-smelling lotion or body butter – check out my recipe for a serious skin treat. 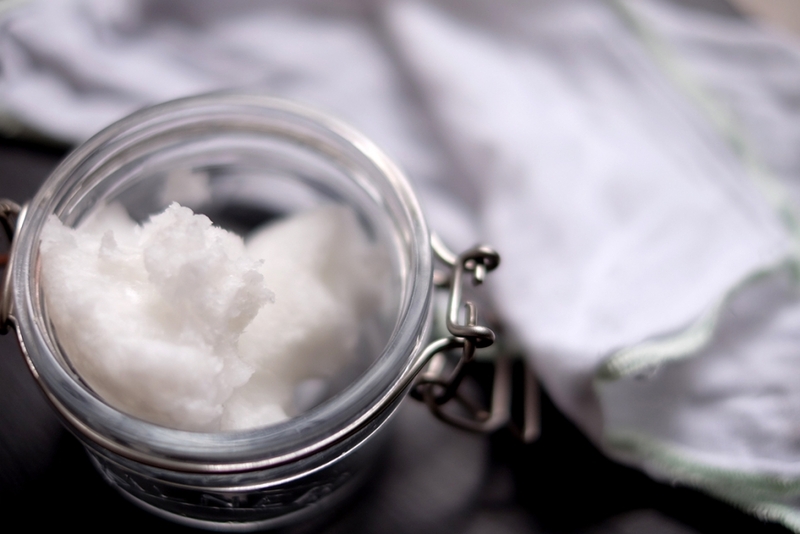 Coconut oil can be applied to any skin complaint such as burns or rashes for a super soothing and effective recovery. It’s particularly amazing at reducing sunburn quickly and helping to repair the sun-damaged skin. I’ve also read that being anti-fungal and anti-bacterial, it acts as a natural emollient, making it a safe and effective thrush treatment for women and breast-feeding women. And on the topic of babies, I hear it’s an awesome remedy for nappy rash too. 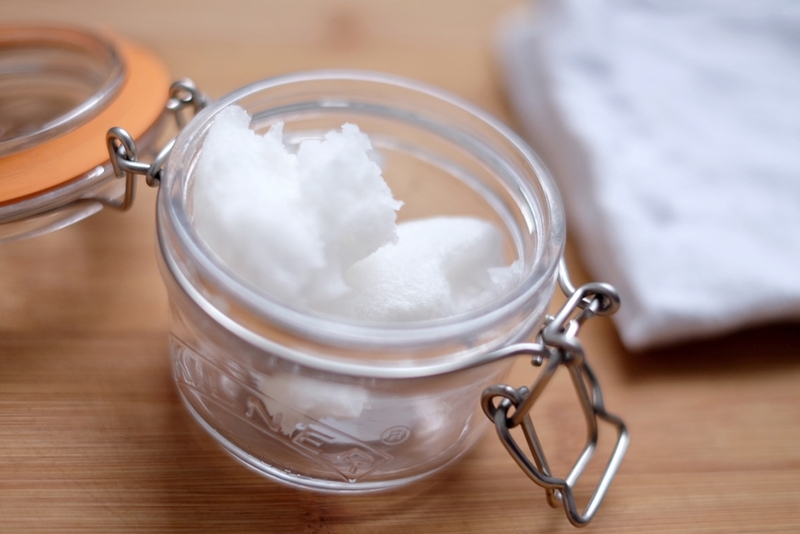 Have you tried coconut oil or made it a beauty staple? What are some more of its genius uses? I’d love to know – tell me in the comments below!